Arsenal host Napoli in the first leg of their Europa League quarter-final tie on Thursday night as they hope to take a positive result to Naples next week. 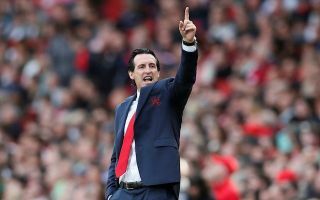 Unai Emery has continued his fine record in this competition after enjoying so much success in it with Sevilla, and he’ll be hoping to lead the Gunners all the way this year. However, they face a very difficult task in facing Carlo Ancelotti’s side, and so it remains to be seen if they can indeed reach the last four for the second year running. Emery has been handed an injury boost with Laurent Koscielny returning to the starting line-up, while Pierre-Emerick Aubameyang and Alexandre Lacazette start together in attack. Mesut Ozil and Aaron Ramsey also get the nod in what is undoubtedly a very attacking side, with the Spanish tactician seemingly eager to see his side take control of the game and put Napoli on the back foot in an arguably brave move. They’ll be looking to bounce back from their defeat to Everton at the weekend though which was a big blow in the scrap for a top-four finish in the Premier League, while Napoli also slipped up having been held at home by Genoa. As noted in the tweets below from Arsenal fans though, they are delighted with Emery for starting all his big guns in attack, and so it remains to be seen whether or not Napoli can stand firm defensively to ensure that they take a positive result home for the second leg. With the pace, movement and creativity between the likes of Aubameyang, Lacazette, Ozil and Ramsey though, they will certainly have their hands full. Nevertheless, it’s still a big decision from Emery, one that could see them dominate the encounter or lose their balance and pay the price. This team is sweet… Emery isn’t joking at all…. Let’s win this game? Auba, Laca, Ozil, Ramsey ?